Colorado Concrete in Denver is ready to transform your gray concrete into something that will compliment the rest of your landscaping. The possibilities are endless when it comes to stamping and color staining your concrete patios, driveways, sidewalks and walkways. Stamped concrete is a very cost effective way to change the look and feel of your concrete driveway, patio, sidewalk or basement floor. 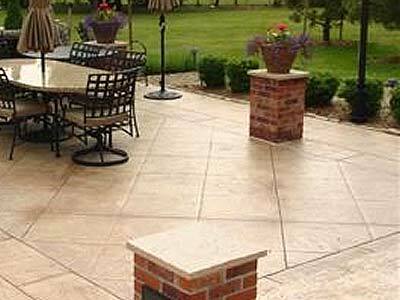 Stamped concrete can be made to look like cobblestone, flagstone bricks or stone. Not only does stamped concrete look extremely realistic but you have the exceptional durability of concrete. Color stained concrete will change that dull gray colored concrete into something that matches your individual taste and personality. Whether the concrete is indoors or outdoors the wide array of staining colors will transform any area it is in and you can use multiple staining colors and stenciling to make your concrete as unique as you want.